Massage therapy helps the body in a number of ways, including muscle relaxation, circulatory improvement, and the body’s relaxation response. Massage therapy may also improve circulation. Circulation is responsible for enhancing the delivery of oxygen and nutrients to muscle cells. It also helps to remove waste products. Therefore, the improved circulatory effects of massage may also have value in the treatment of some inflammatory conditions like arthritis. Sports massage recharges an athlete’s worn out muscles and improves athletic performance. 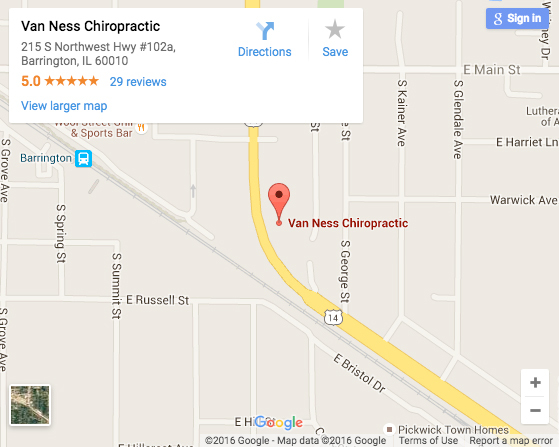 Utilizing a variety of techniques, the Van Ness Chiropractic massage therapists customize treatment sessions to match your athletic training demands. Should you have an event within 48 hours of your scheduled session, your therapist may use some circulatory massage and passive joint mobilization to make sure you have the range of motion you will need to avoid injury at your event. During your slower training times, your therapist may utilize more rehabilitative techniques to bring your body back from being worn down after more intense training periods. Myofascial release is a manual massage technique that stretches the fascia and releases the bonds between fascia, muscles, and bones. When the fascia is manipulated, the connective tissue fibers of a person’s body are reorganized into a more flexible and functional fashion. “Fascia” is a band or sheet of connective material. It is located between the skin and the underlying structure of muscle and bone and covers and connects the muscles, organs, and skeletal structures in the body. Muscle and fascia together form the myofascial system. Injuries, stress, inflammation, trauma, and poor posture can cause restriction to fascia, and, since fascia is interconnected, restriction in one place leads to tightness and restriction in others. The goal with myofascial release is to eliminate pain while increasing the range of motion and balancing ability of the body. By releasing fascial restriction, connective tissue is restored to health.